The increasing popularity of Homoeopathic treatment indicates an utter need of high quality research to meet the challenges in road to health. The Homoeopathy University, Jaipur is ultimate research centre which provides a firm background to Ph.D. scholars through its flourished OPD consulting 300 patients per day and the multidisciplinary investigation facilities. It has also established a Central Research Laboratory (CRL)-A basic requirement for Ph.D. course. Various seminars of world renowned homoeopathic practitioners and academicians are organized to impart a critical vision helping the Ph.D. scholars in their research studies. Candidates having Post Graduate degree (M.D.) in Homoeopathy and B.H.M.S. 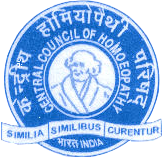 from any recognized Homoeopathic medical College of India and degree should be included in Second schedule of C.C.H. Act. Minimum 50% marks in B.H.M.S. are required for the candidates belonging to SC/ST/OBC(non creamy layer)/Differentially abled. *Each supervisor shall be allotted 2 candidates. User can fill the forms through online or off line mode. If candidate downloads the form, he/she must attach a D.D. of Rs. 3000/- in favour of Homoeopathy University payable at Jaipur. Any communication to University should be done through registered mail or speed post only. Candidates must download information manual for details of examination.